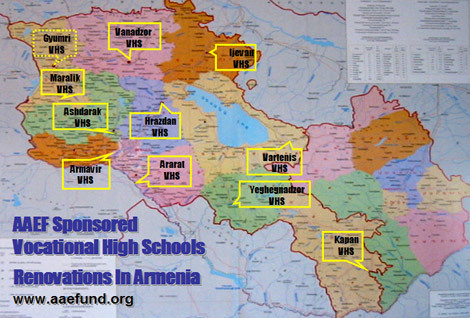 The Anoushavan Abrahamian Education Fund (AAEF) seeks to enrich the lives of disadvantaged youth worldwide by providing enhanced educational opportunities, particularly in the area of vocational skills training. The programs are focused specifically on improving trade skill education for rural youths that will increase their opportunities for successful employment. Your support is of paramount importance for us to continue our mission. Volunteering your time or expertise: click here. Sponsoring an ongoing or future project in memory of a loved one. Making your cash donation below.